While some people hold grudges, it seems that MTV prefers to forgive and forget. Last year's Video Music Awards' bad boy Kanye West will be back this year, but he will likely be on better behavior. After infamously interrupting golden girl Taylor Swift's acceptance speech, the world was aghast with Kanye's selfish behavior. His catchphrase, "imma let you finish but..." was the but of all the jokes and everyone wondered what on earth happened to the rap superstar. Kanye's behavior has definitely improved since the hyped incident, and he seems excited to return to the stage. The star tweeted, "Just met with MTV and it's about to go down! VMA's!!!!!!!!!!!!!!!!!!!!!!!!!!!!!!!!!!" 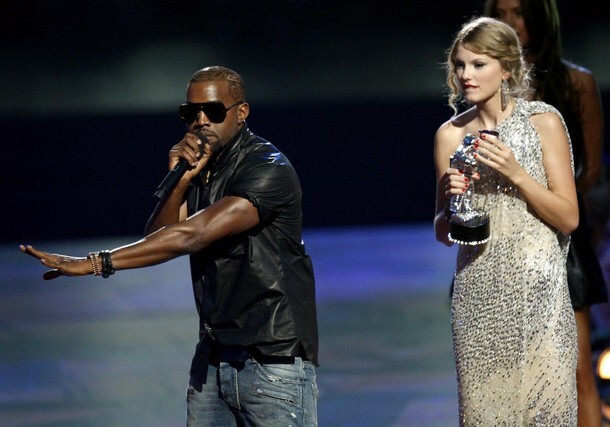 Now I have two theories as to how the VMA's will handle Kanye's return. While I'm sure it will be parodied in the opening monologue, I also feel like he'll be asked to perform another stunt. After all, it made the VMA's one of the most hyped about award shows. What do you think Kanye will do?